What’s not to love about the Shobha? When you want to look your best and you need your eyebrows groomed as well as other parts of your body tended to, Shobha is the place to go. With over a decade of experience and excellence in hair removal, Shobha caters to a clientele that includes top beauty editors, A-list celebrities and busy New Yorkers. Shobha is known for its consistent quality and client sensitivity embodied in its line of products and all-inclusive treatments for the brows, body and bikini area. Shobha herself, founder and entrepreneur extraordinaire, has fused her Indian cultural heritage with a high-powered business education and background (Harvard MBA, Fortune 500 work) to create a successful company infused with warmth and fantastic services and goods. Good news for Washington, D.C.! !ith four upscale locations in NYC, Shobha will be opening its doors in spring 2013 in Washington’s Dupont Circle neighborhood. 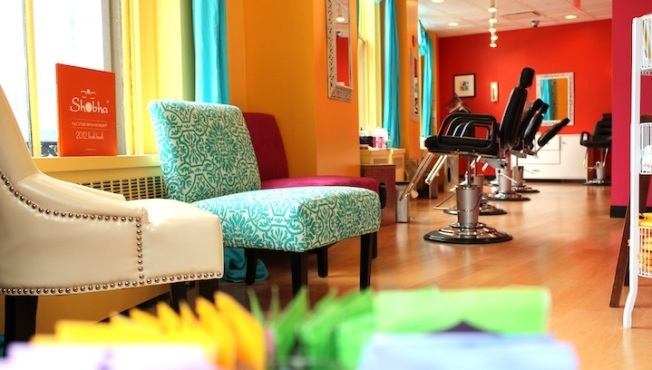 D.C. will soon see what Lucky magazine says about Shobha, “fast, efficient and ultra-hygienic!"